This is a very inspirational book that anyone could enjoy, especially those who feel lost and out of touch with those they love due to mistakes they’ve made. No matter how bad you think your life or relationships are, God is there beside you and can help you heal. This is a very short read, only 116 pages, but it has a big message that we all can benefit from. Dominic walked along a sidewalk in the busy city where he grew up. It felt good to have the sunshine upon his face again. He had gotten off the bus downtown so he could have some time to walk around and gather his thoughts before he went home to see his family. He wondered if anybody recognized him here anymore. The neighborhood was still all too familiar to him. Although things mostly looked the same, it was apparent that things had changed with time. The thought crossed his mind that his family would appear the same way. He wondered if there was any place for him there anymore. While his family had been great about visiting and writing while he was away, it was impossible for things to remain the same between them. He just couldn’t be Dominic in there. For all practical purposes he hadn’t been for the last eight years either. He had simply been inmate number 4407 at Red Valley Prison. He had gone in a young 21 year old man, and while at 29 he was by no means an old man, the man that walked past the windows of the stores and cafes wasn’t the same man he remembered seeing in the windows eight years ago. A red car rushed past and the tires squealed as it turned the corner in front of him. Immediately the hairs on the back of his neck stood at attention and shivers went up his spine. A cold sensation came over his body. He didn’t think certain sounds would be such a trigger for him anymore, “some things never go away” he said to himself out loud.He continued his walk and soon came upon The Watering Hole. It had been his favorite place to meet up with his friends and put home a couple cold ones after a hot day at work. He stood out front looking in thinking about going inside. He was sure he would see some friendly faces that he hadn’t seen in awhile. Besides what could be the harm? After all he hadn’t had a drop in almost nine years. He had been locked up so long, he owed it to himself to stop in and have a few he thought. At least it would take the edge off before he had to go home. He walked toward the front door and reached out to pull the handle. Just then he heard another sound that he was sure would always give him goose bumps. Sirens blared off in the distance and he pulled back his hand from the door. “What are you doing?” he said to himself. “How could I forget?” he whispered to himself. He was walking toward the same thing that took him away from everything that he loved. How could he forget what led to that tragedy and the sheer terror of that bitter cold December night, when his life as he knew it and all the plans he had for his future ceased to exist in the blink of an eye. No buzz would be worth risking that kind of pain again. He continued his walk down the street. Still hearing those sirens off in the distance, every gut wrenching memory of that night began to well up inside of him. It had been almost nine years and he could still recall every sight and sound of that night of hell. Feeling he needed to clear his head, he began to look for a quiet place to sit for awhile. Clouds had started to gather overhead, and the change in weather seemed to reflect his change in mood. Suddenly he wasn’t so glad to be out again. Even though now he was free to come and go as he pleased, he felt more alone now than ever. “How can I go home and tell them that I feel this way,” he thought “they’ll think I’m nuts.” He considered turning around and heading back to the bar to clear his head. It had started to rain, and he wanted a place to get inside and sit down for awhile. The rain began to fall harder, as thunder rolled overhead. Business men holding newspapers over their heads scrambled for their cars. Women in high heels skipped over puddles beginning to gather on the ground. Trying carefully to carry their purses and to hold their umbrellas overhead all without falling down. The rain began to feel colder, and he decided he had better find a place to get inside. He turned the corner and saw St. Patrick’s church up ahead. He decided that would be an easy place get out of the rain where nobody would bug him. He picked up the pace of his steps, and quickly climbed the cement steps to the large wooden doors. He pulled open the heavy door and stepped inside. The door closed behind him and the sound echoed throughout the empty church. Here was a place that seemed to be frozen in time he thought. The old church was very familiar to Dominic. He had served mass there countless times while he was growing up. He felt proud serving mass in front of the entire congregation, but walking inside today he felt terribly ashamed. He was brought up in a good Christian home. 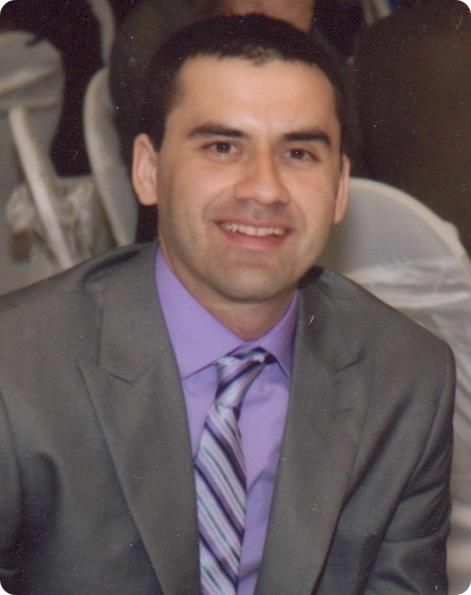 Raised catholic by parents who loved God, and so did he. But somewhere along the line he quit going to Sunday service. It wasn’t that he had quit believing in God, he was sure He was out there. He just somehow had lost touch with Him. He wasn’t sure how this had happened, but being there now he felt ashamed that he had ever left. He took a seat in one of the wooden pews. The wood creaked as he sat down. He glanced down at his watch, three o’clock. He planned just to sit there until the rain subsided then he would be on his way home. He looked around at the statues who seemed to stare back at him, almost as if they expected him to do something. He began to feel a little uneasy. Something inside told him that he should probably try praying as long as he was already there. He pulled out the kneeler and sank to his knees. No words came to mind. He felt guilty to ask God for anything, and he didn’t feel like he had anything to be thankful for so what was he going to say? He began to say the Lord’s Prayer but quickly lost concentration. He began to think about all he had lost and became frustrated. He sat back down and kicking the kneeler up he said, “forget it, what’s the use anyway.” He sat there in silence for some time just waiting out the storm, just contemplating where he would tell his family he had been when he got home. He heard the door open and close at the back of the church. He heard footsteps begin to walk down the main isle. He didn’t turn his head to see who it was for fear they would recognize him. The footsteps drew closer and he could hear their pace slow as they neared him. Dominic turned his head down and away hoping to avoid any chance of confrontation. The footsteps now stopped and he heard a man call to him with a strong but gentle voice, “Dominic?” He said nothing and didn’t move. Although the voice had a familiar kindness to it, he still didn’t recognize it. “Dominic is that you?” the voice said. This time Dominic felt compelled to answer. “Yeh, it’s me,” Dominic said, turning to face the man. 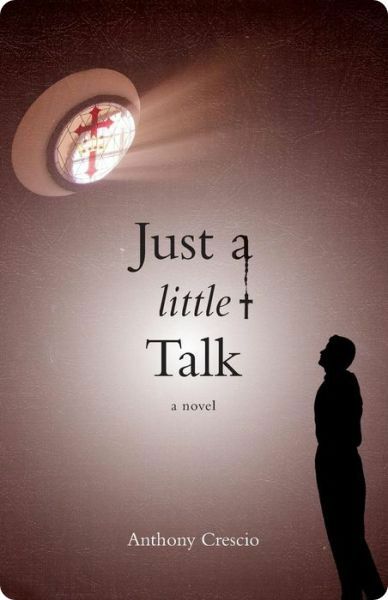 His latest book is the Christian fiction, Just a Little Talk.